This weekend sees the arrival of the famed and amazing Orquesta Buena Vista Social Club to Dublin where they will play in the National Concert Hall on Saturday evening the 2nd of August. After 16 years thrilling audiences around the world, this will be their final tour to bid the love scene adios. The group has been touring the globe in different forms, guises and combinations since 1997 as ambassadors for Cuban music. Many of their songs are in Spanish, the official language of Cuba and if you’re learning Spanish or you miss hearing your native tongue if you’re from a Spanish speaking background, music proved a great entry to connect with the language or reconnect with it. Melody is a language that speaks to the heart. 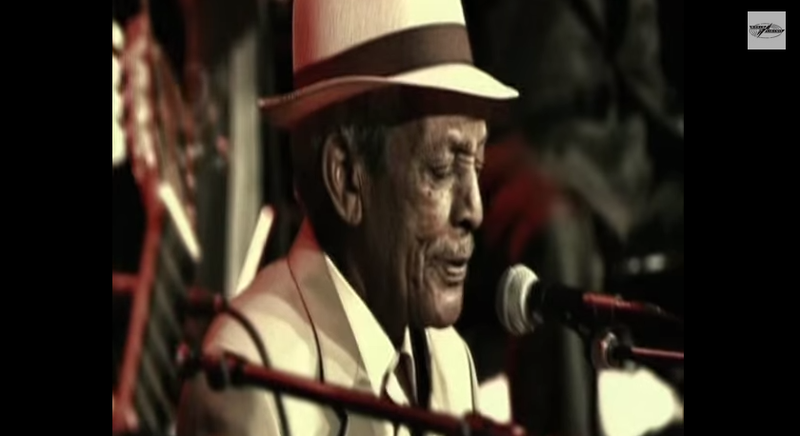 The Orquesta Buena Vista Social Club grew out of the release of Grammy-winning best-selling album Buena Vista Social Club, and its line-up continues to include a number of the original artists featured on the landmark recording and film. This night in Dublin, they will be joined on stage by those who have joined the journey along the way, including dynamic veteran tres player Papi Oviedo; Havana’s young star pianist Rolando Luna; a superb rhythm section comprising double bass player Pedro Pablo and percussionists Andres Coyao (congas), Filiberto Sánchez (timbales) and Alberto ‘La Noche’ (bongos); a three-man trumpet section led by high note specialist Luis Allemany plus Havana’s celebrated son singer Carlos Calunga.